MOSCOW (Sputnik) - The South Korean military approved Wednesday a plan to purchase dozens of US Patriot Advanced Capability (PAC)-3 Missile Segment Enhancement (MSE) interceptors in a bid to strengthen the country's defense capabilities, the Yonhap news agency reported on Wednesday. The South Korean military plans to introduce the US interceptors as early as in 2021 as part of an intergovernmental foreign military sale program, the outlet reported. 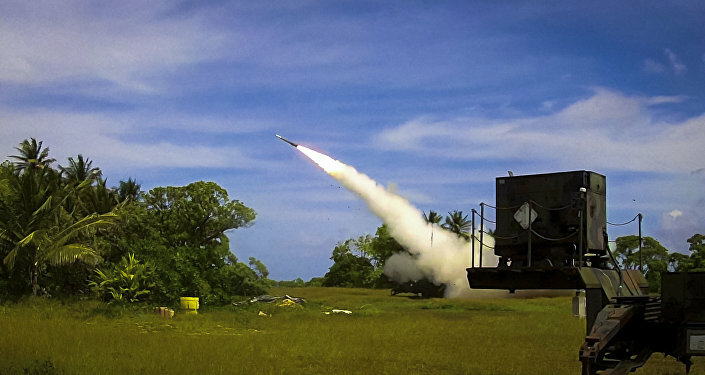 The estimated price of a PAC-3 MSE interceptor is $5.34 million, according to the plan. The South Korean Defense Acquisition Program Administration’s executive committee outlined its plans to procure the PAC-3 MSE interceptors, which has a range of 40 kilometers (24.8 miles), at the beginning of this year in order to counter Pyongyang's aggression at that time. The committee has not specified how many interceptors it planned to purchase but has revealed that the project's budget totaled $53 million.